glad you stopped by . . . This ministry began in 1968, when Nick was called to his first pastorate in Illinois, a small low socioeconomic community a short distance across the river from the City of Saint Louis. It was there that Nick was licensed to the Gospel ministry, and began a ministry that is now in its 40th year. 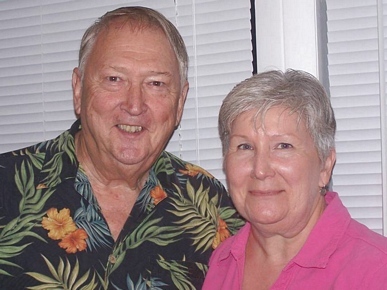 Kay joined the ministry in 1970 and immediately became involved in a campus based outreach to children, in a trailer park community, in rural Missouri with Nick. Over the years the ministry has evolved in its diversity to those served. This ministry has been involved with both small and large churches in Illinois, Missouri, Alaska, Wyoming, Montana, Florida, Alabama, and Cayman Islands BWI. The latter years of ministry have been used to strengthen local church ministries. The emphasis has been on teaching biblical principles for Christian growth and discipleship.